RBOI envisions an economically viable, stable and self-reliant Autonomous Region consistent with the aspirations, values and culture of Muslims and other indigenous cultural communities within its jurisdiction. 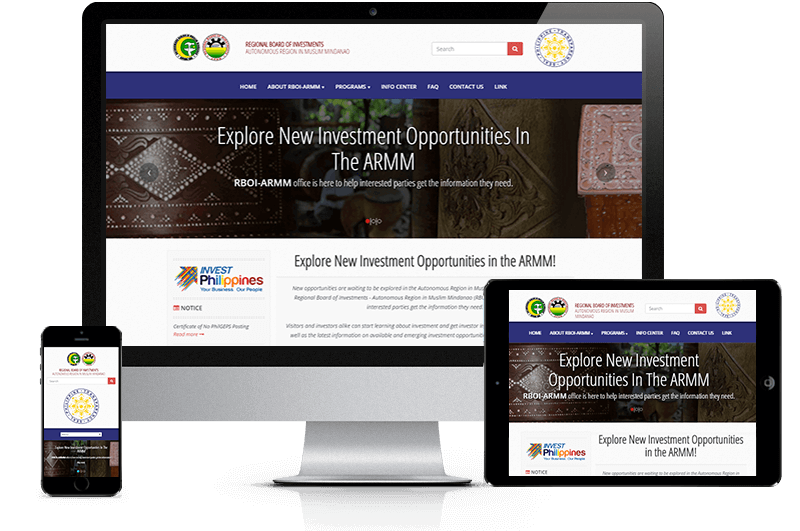 Explore New Investment Opportunities in ARMM with the possibilities of finding new opportunities and discovering untapped resources and areas for growth and development. RBOI's website focuses on the content which is manageable using Viiworks' developed framework. The design may look simple but it still up-to-date and can be viewed by users on their mobile devices.